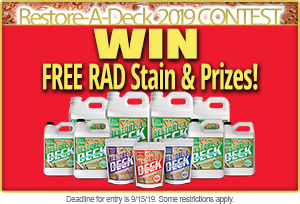 Can RAD stain be used on black locust lumber? I am in south Alabama. I have a new deck that was installed in July 18. 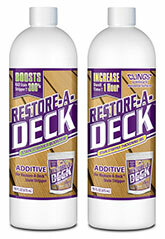 I did the cleaner/brightener combo one day and stained the deck the next day. I used RAD light walnut. One coat on everything. My vertical surfaces are darker than the floor. It’s been almost a week since I’ve stained. Would it be okay for me to do another coat on the floor? I used a paint brush and back brushed everything so there wasn’t extra stain sitting on top. I don’t want it to peel. Actually, it looks great! The rail pasts are darker due to the wood. To answer your question, no you cannot add another coat now. Seconds coat if applied need to be applied wet on wet. Adding another coat to the already cured first coat of stain would create issues where it cannot soak in. You can clean and reapply another coat though after 91-2 months. It will take then. I really need to stain my deck and I've waited a bit into the winter here. What are the downsides if it gets too cold? Will it mess it up completely? Will it just not take? The daytime highs run into the mid 40 to 50s, most overnights it doesn't freeze. Can I do it on a weekend where the weather is cooperative? It needs to be 50-55 during the day. Cannot freeze at night. No rain for 12-24 hours after application at these temps. As long as it soaks into the wood, you will be okay. 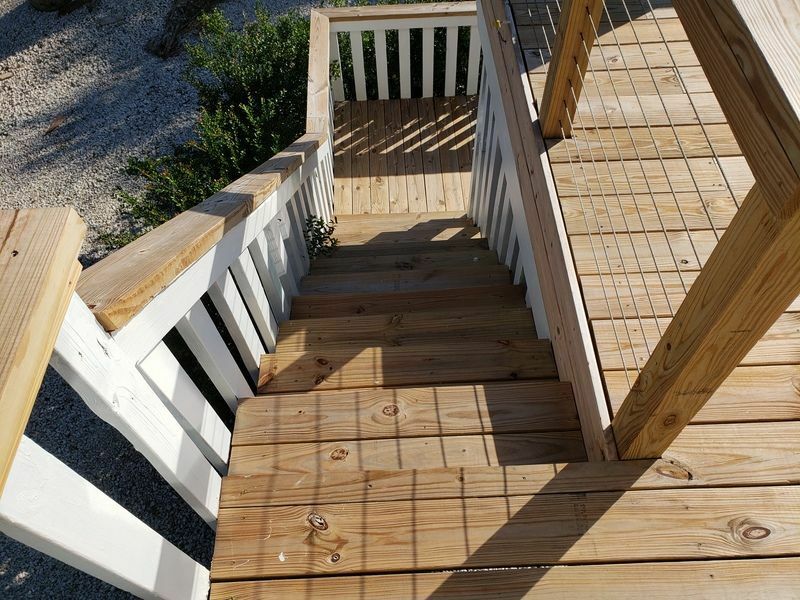 I live in North Florida and have a pine deck that was replaced in March 2018 that is roughly 60x16 feet with a total of 14 stairs and a 5x9 landing - see attached pictures. 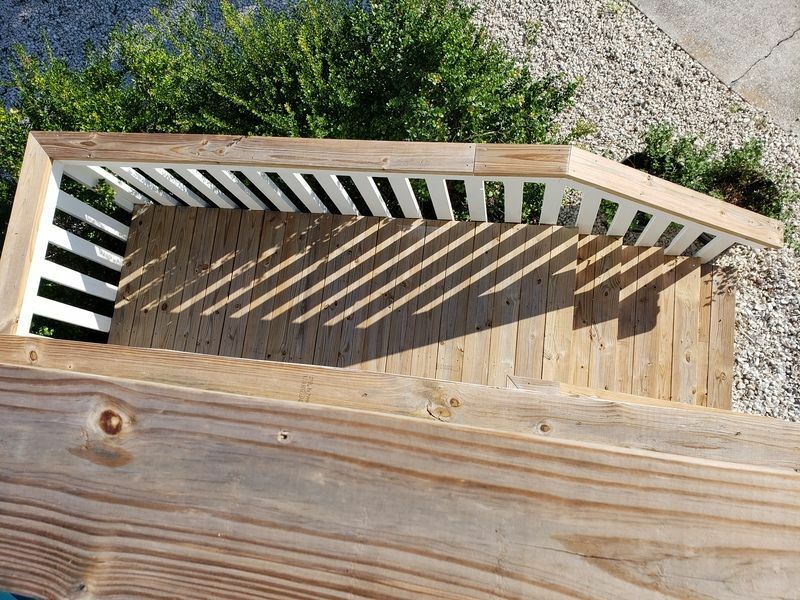 How much cleaner/brightener and stain would I need to prep and stain the deck? Should I apply one or 2 coats, and will the cleaner and brightener harm the stainless steel cable system? Lastly, do you offer a clear stain? About 8-10 Gallons for the one coat that is needed since the wood is newer. 2 Kits of the Cleaner/Brightener prep. Prep products will not harm the cables. No on the clear and clear sealers will not prevent UV graying. 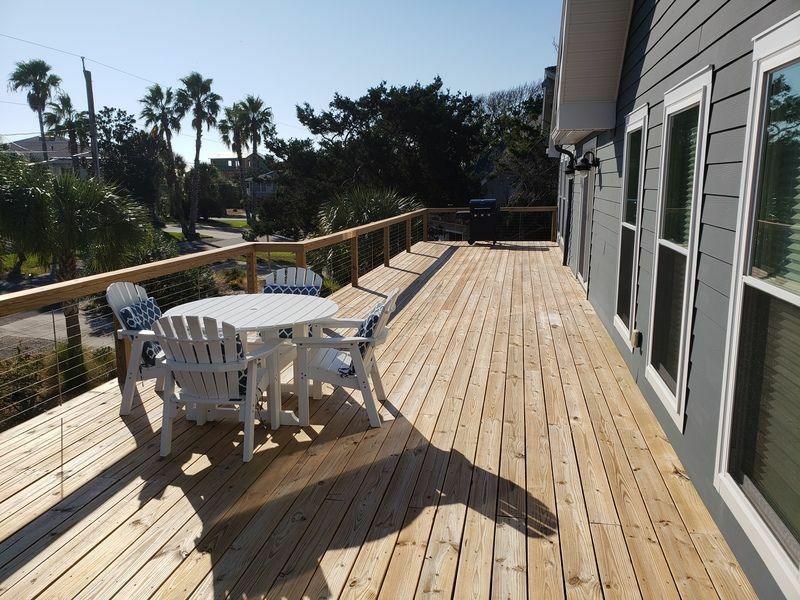 New deck of pressure treated pine put down in June. Live just outside of Atlanta, GA. Temperature around 50-60s during the day. Temperatures fluctuate a lot this time of year. Can I stain now or have to wait until spring? You could do now or in Spring. Up to you and if the weather cooperates or not. We built our deck in April using pressure treated pine, and this past weekend we stained it using the cleaner, brightener and stain. There is a small section on the deck where we apparently didn't prep the surface well enough because the stain is peeling off. Is there a way that we can patch this small portion? You can try and sand it off but you will need to do the entire board that is affected. Use 60 grit paper. Thanks. After sanding, do I just apply stain, or do I need to do the clean/bright process? Since it is just one board, sand only with 60 grit, no finer. Use the brush for best overall results and even appearance. Thanks for responding. Not to seem dense but you're saying put the stain on directly with the brush, rather than spraying on and then back brushing? Good deal. Any general tips for using the stain brush? Not really. Just apply evenly and quickly. 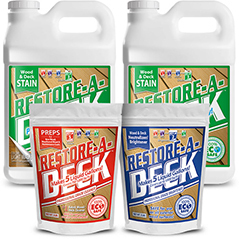 Can you apply your natural stain product over new Western Red Cedar that has been treated with EcoWood ( disodium octoborate tetrahydrate / boron / boric acid system similar to Timbor or Board Defense)? And can I get one 2.5 gallon? As long as the surface is porous, you can. We do not offer the 2.5 gallon for sale on this site. I just finished work on this deck. I flipped all the old boards and replaced 38 that weren’t saveable. After that I pressure washed and chlorinated everything to even out the color. As you can see it went pretty well. I would like to next apply your product to further even out the color and protect the job but am thinking that the difference of absorption between the old and new wood might mean that I should use your natural for the initial application and do a color in the spring. Does this make sense to you? If not, what is your recommendation? 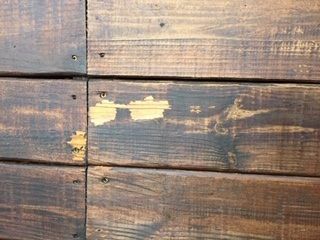 Per the article above, the new wood cannot be stained now. You will have to wait the 3-6 months for natural weathering and then prep all with the Cleaner and Brightener kit. Spring would be best to do this. The Natural is a tinted stain, not clear and cannot be done until Spring as well. I just put one coat on new mahogany aged about 4 months. For second application in 12-18 months do I need to use cleaner and brightener, or just one of them, and should this second application be a wet on wet application. Cleaner only. Just one coat for Mahogany wood. 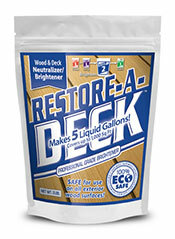 Post a picture of your newly stained deck if you have time. Post a picture of the wood. Hello, no pictures are attached to your comment above. 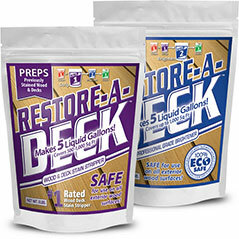 You should prep and stain in the same season. Do it all now if the weather cooperates or next Spring if it does not. At this point, you would need to wait for at least 6 months, lightly clean and reapply one light coat but only if needed. Just installed a new cedar deck. Cedar experts differ on when to apply the stain. Do you still recommend a 3 to 6 month waiting period even for cedar? I sanded some scratches on a new untreated deck. I’m getting ready to use the cleaner, brighter and the stain. Do I need to sand the entire deck since you can see where I sanded? Probably as the stain may dry unevenly. Do not sand with grit higher than 60 or 80. Clean and brighten after. 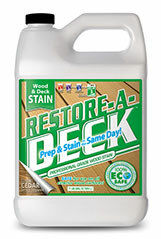 Do you recommend the stain pad or the stain brush for application on new mahogany, aged for 3 months. Either will work very well. 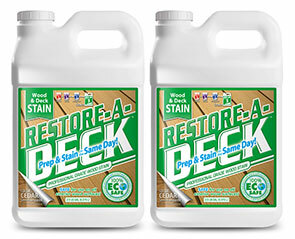 Are you saying there is no need to stain underneath the deck or stairs? No real benefit unless appearance? I have replaced some old deck boards with new pressure treated white pine. I had already cleaned and brightened the old boards before replacing with new ones. (tree fell on deck and busted boards) I am assuming it is acceptable to stain the old boards and wait to stain the new boards early next Spring? Best to wait and prep/stain all in the Spring. It will be easier and look better as well. We have a long wooden wheelchair ramp that was built with new wood 14 months ago and we will be prepping and staining it for the first time. Given its age, do you recommend one coat or two coats of RAD stain? I will be purchasing your products; just need to calculate how much I will need to purchase based on how many coats we should apply. Two light coats applied wet on wet. What is the best working temperture for outside staining for the RAD products to dry and set up? We have a new cedar deck, installed in mid June, in northern Indiana. It is beginning to have a slight gray look to it, but looks like new when rained on. 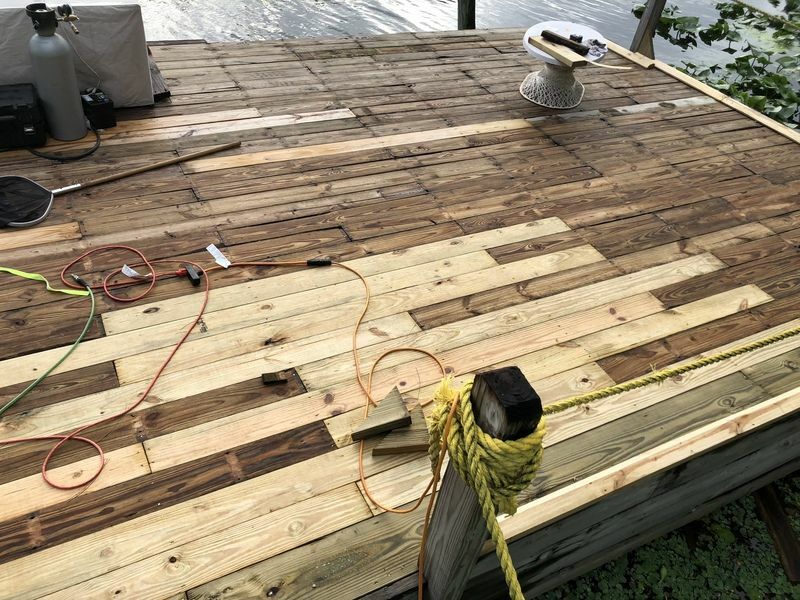 We will be having many people trafficking over the deck dur ing September, and we are concerned about any food/drinks that could get spilled on the unprotected wood. Would it be OK to clean and seal now? If not, will the brightener remove any food/drink stains months later, so not to worry? It is a little too early to do it now. Best to wait for another month or two. The prep will help with the spills but it depends on what the spill is. Red wine, for example, will not come out. 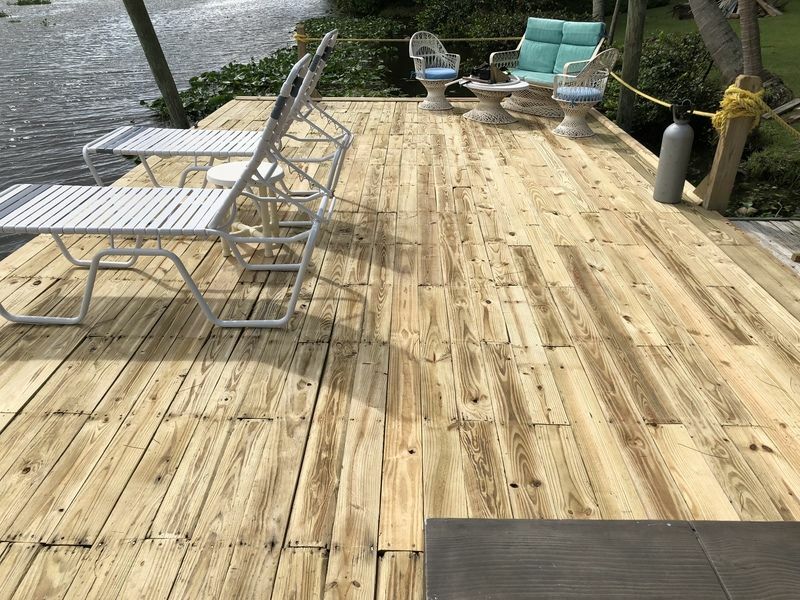 We were planning to stain all sides of our new cedar decking before installing it, but you recommend waiting for a few months. Is it important to stain the undersides and sides of the board, as we can't do that after it is installed? There is no reason to stain all sides and it is actually discouraged. Best to install, wait, prep, and stain the wood that is exposed to the elements. They are not. Shipping takes a few business days to arrive in FL. 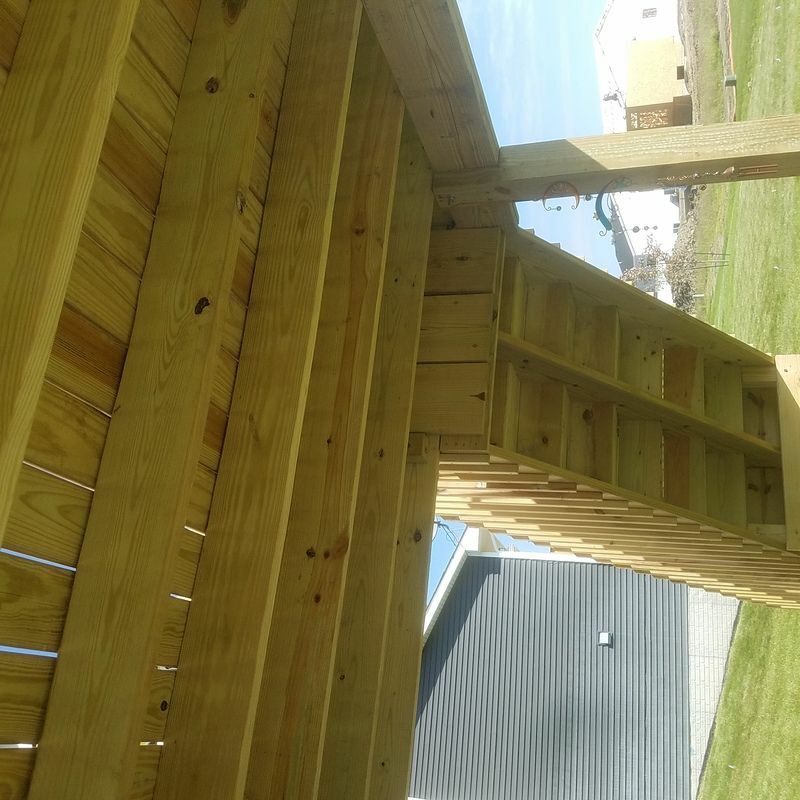 I built the deck two years ago but is shaded well and was in good condition. No mold or mildew, only slightly graying. Have cleaned and brightened and orbitally sanded wood fuzzies. Lightly washed down. Use one coat or two of stain? Bought enough for two. How fine of a grit did you sand the wood? That would determine if it will take one or two coats. I live in Texas. The temperatures have been between 95-110 degree F most of the summer with the exception of the past rainy week. This week is set to be in the 90-96F. With this kind of heat, is it OK to only wait 2 months to stain new wood (vs the suggested 3 months). What differences/problems, etc should I expect if I stain at 2 months (have the time now and may not in another month). No, you still need to weather the 3 months or more. Heat will not accelerate this process. When to wipe off stain. Is there a min to max time allowed before wiping off stain after application? The RAD stain is not back wiped. Just apply evenly without any over application and let dry. Thanks! Just something else I was doing wrong. Recommend a frequently asked questions list or things not recommended for newbies! Also, went ahead and started resanding the rest of the deck. Do I need to redo the brightner or use some sort of wood conditioner to keep the stain from splotching? Trying to sand off some of the boards with excessive splotching. I believe your unevenness is caused be the spot sanding Sand all evenly with no finer than 80 grit. Lightly wash with water and brighten the wood when done. Help. Splotching!. I must have done something wrong in wood prep. I have a new yellow cedar deck/railings/posts/balusters. Kiln dried wood, 2-3 months of weathering. Minimal sanding except worst spots with 8 grit orbital sander. Used RAD cleaner and brightener before applying stain, about 2 days before stain. Used garden hose to wash off RAD cleaner/brightener, but a lot of white residue remained. Using brush and taking forever on vertical surfaces. I am new to staining. Seems like I need to wipe stain a few seconds after application for less splotching, is this correct? Any recommendations on whether brush, pad or sprayer would help? Should I start over before doing deck surface since only about half done with vertical surfaces? What equipment (application tools, etc.)? Is a power washer needed? The deck appears to just have surface dust. 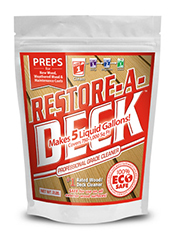 Prep with the cleaner and the brightener kits and stain with the RAD wood stains after.